In isolated and arid areas, especially in the almost Maghreb regions, the abundant solar radiation intensity along the year and the available brackish water resources are the two favorable conditions for using solar desalination technology to produce fresh water. The present study is based on the use of three groups of correlation, for evaluating mass transfer. Theoretical results are compared with those obtained experimentally for a Simple Solar Distiller (SSD) and a Simple Solar Distiller Hybrid with a Heat Pump (SSDHP) stills. Experimental results and those calculated by Lewis number correlation show good agreements. Results obtained by Dunkle, Kumar and Tiwari correlations are not satisfactory with the experimental ones. Theoretical results, as well as statistical analysis, are presented. The model with heat pump ( for two configurations (111) and (001) give more output compared with the model without heat pump ((000) and (110)). This results where agree for the use of the statistic results, the error it less with Lewis number as compared with the different correlation. Desalination of ground brackish water by solar powered systems is a practical and promising technology for producing potable water in the regions which suffer from water scarcity especially in the remote arid areas . The rapid population growth, along with the expected social and economic development will increase the demand for water in such a way that the future water reserve will not meet such a demand. In remote and arid areas with low infrastructure and without connection to the national grid, the abundant solar radiation intensity along the year and the available brackish water resources are two favorable conditions for using the solar powered desalination technology to produce the fresh water, even for domestic use. A solar desalination technology might be technically and economically viable to cope with water scarcity, and it is recommended to be used in the remote and isolated communities, particularly for those areas which enjoy with abundant solar radiation intensity. Desalination of brackish water was expanded rapidly to support urban and industrial developments in the arid areas; good results were published by some researchers in the field of solar desalination . In order to enhance the solar stills productivity, numerous groups around the world have contributed to improving the solar desalination technology, by evaluating the influence of some important operating parameters on the system performance. The effect of climatic conditions; design, operational conditions and geographical location on the water productivity were investigated. ABDALLAH et al. studied the effect of various absorbing materials on the thermal performance of solar stills, the results showed that the uncoated sponge has the highest water collection during the day time, followed by the black rocks and then coated metallic wiry sponges. The reduction in the water emissivity will reduce the radiation heat transfer from water to the glass, this resulted in a substantial improvement in still efficiency and offers great potential for solar still usage the numerical predictions reported agree favorably with the most recently published experimental work in a similar configuration. S. Toyama et al  comment on the fact that in solar stills with larger aspect ratios, the dominating heat transfer mechanism is convection which is not as efficient as diffusion, more proper of shallow cavity solar stills. Despite this, more recent analytical studies done in high inclination solar stills by B.A. Jubran et al , suggest that tall vertex stills are viable and their geometry can be enhanced to facilitate the development of convection vortices (which will compensate for the loss of heat and mass transfer by diffusion) and improve the heat transfer process as the increased height was proven not to insure substantially in the loss of distillate yield. [6-7] studies the importance of the water evaporation area in a solar still. His mathematical analysis illustrates the quantitative relationship between it and the distillation yield. An enlarged evaporation area results in a more efficient evaporation-condensation process, increasing the yield G.N. Tiwari , present a procedure to estimate the glass cover production in double slop solar stills, as a function of still temperature and area fraction, as an extension to the model proposed by Dunkle. Equations (5) and (6) are defined as Dunkle correlation. Although many limitations of this model (Tiwari and Tiwari ), it has been widely used by most of the researchers in the field for comparison purposes, even in conditions that are not falling under the limitations of the model. Equations (7) and (8) are defined as Kumar and Tiwari model, the Rayleigh number is given by Ra = Gr.Pr. * Orientations of the condensing covers. Table 1 shows values of C and n as well as the convective heat transfer coefficient developed by this model for different inclinations of condensing cover for single slope solar still for New Delhi summer climatic conditions. As can be seen from this table, significant changes in the values of C and n with the inclination of the condensing cover are obtained. This indicates that C and n are not constant values and depend on operating conditions. Equation (26) defines the Lewis number correlation, the exponent n is equal to 0.26 (Zheng et al. ). As an important conclusion, all the mentioned correlations differ by their conditions of use such as the considered water temperature, the values of C and n, the inclination of the glass cover, the characteristic length between water and glass cover and other operating conditions. The calculations of physical properties of humid air such as isobaric specific heat CP, thermal conductivity l, mass density r, dynamic viscosity m, vapor partial pressure Pw and Pg are based on the correlations given by Jain and Tiwari . All the above-mentioned properties are presented in appendix A.
xi, yi and N are the experimental parameters, its corresponding theoretical value calculated by one of the above-defined correlations and the number of experiments, respectively. is the average value of x and is the average value of y.
Basin bottom is fabricated from fiber forced plastic material and the absorbed energy is largely transferred to the saline water by conduction and convection modes. A small fraction of the absorbed heat may be lost by conduction into the ground. At the water surface, energy is transferred to the cover by three mechanisms: vaporization, convection, and radiation. The vapor is transferred to the cover by free convection of the air in the distiller. Fig. 1 shows the schematic diagram of the simple solar still used and its corresponding photography, area of the basin is equal to 0.4 m2 (650 mm x 615 mm). Water depth considered in this work is fixed in all experiments at 30 cm, the choice of this value aims simply to see the water productivity of our still. Solar cooling systems operating with Rankine cycle have the advantage that apart from providing cooling, they can be used in the heat pump mode and also for electricity generation. Although conventional vapor compression refrigeration machines are being widely studied and used during the last 100 years with machines ranging from a small domestic unit of 0.5 ton capacity to air-conditioning plant of 300 ton capacity, solar energy operated vapor compression cooling machines are comparatively recent techniques. A hybrid solar still heat pump is used to enhance the water temperature of the basin (having the same dimensions of that used in a simple still) to increase the evaporation and enhance the condensation of distillate. Fig. 2 show this configuration. This model corresponds to a vapor compression cycle of refrigeration. In fact, a condenser is immersed in the basin water to increase the water temperature and then the evaporated quantity of water will increase. The evaporator which is located near the upper region of the glass cover enhances the condensation of the water vapor, and the refrigerant (R12) leaving the condenser is introduced into a recuperator filled with fresh water in order to maintain the temperature of the refrigerant. After that, the refrigerant enters the evaporator at low pressure inducing the condensation of water vapor. As a consequence, a more quantity of condensed water will be recuperated at the distilled water gutter. The consuming power as compressor works for pumping heat is equal to 0.2 kW. For the installation, the value (0) is assigned when the SSD and the SSDHP stills are oriented towards the south and the value (1) when the stills are periodically oriented towards the sun (azimuth consideration). For the glass cover, the value (0) is given when a single glass cover is used and the value (1) for double glass cover. Similarly, the value (0) is given in absence of heat pump and the value (1) is given when the heat pump is used. Table 2 illustrates different studied configurations. Temperature is measured at different points of the system. Glass, water, and ambient temperatures are measured by thermometers giving 0.1°C precision, the reading scale ranges from -50 °C to 300 °C. The distiller output is measured by a graduated test-tube. Solar radiation is measured by a pyranometer mounted near the glass. The aim of this paper is to use three different correlations in order to compare theoretical results with our experimental work in term of hourly yield. As mentioned above, correlations are named: Dunkle  given by equation (5), Kumar and Tiwari  given by equation (7) and Lewis number given by equation (26). Figs. 3, 4, 5 and 6 illustrate a comparison between experimental and theoretical hourly yield for the four studied configurations: two for the SSD and two for the SSDHP models. From these Figures, the plotted solid line (45° line) shows the deviation of results obtained by different correlations from experimental results. When theoretical results obtained by a given correlation approach the solid line, this means that the used correlation is the best one (coefficient of linear regression tends towards unity). As can be seen from Fig.3, which is related to the 000 configurations, maximum evaporated mass flow rate calculated by using. Dunkle correlation does not exceed 67 g/m2 h, whereas it can reach 120 g/m2h with Kumar and Tiwari correlation. These values are low as compared to experimental results. The analysis of the 110 configurations (Fig.5) shows that theoretical mass flow rate calculated by both Kumar and Tiwari and Dunkle correlations is practically higher than that obtained experimentally, when , this situation is reversed for . As a consequence, ‘Dunkle and Kumar' and Tiwari correlations do not fit experimental results obtained from simple solar still. As can be seen from Figs. 3 and 5, the theoretical yield obtained by Lewis number correlation is in good agreement with that obtained experimentally. Figs. 4 and 6 show results obtained for the hybrid solar still. In this case, theoretical mass flow rate calculated by using both 'Dunkle and Kumar' and Tiwari correlations is lower than that obtained experimentally except that obtained by Kumar and Tiwari correlation when for 001 configurations (Fig. 4). As in simple solar still, theoretical mass flow rate calculated by Lewis number model for hybrid solar still is practically in a good agreement with the experimental findings. Thus, for hybrid solar still, results obtained by 'Kumar and Tiwari' and Dunkle correlations do not agree with the experimental results. It is important to notice the considerable increase of mass flow rate of distilled water for the hybrid solar still as compared to the simple still. This is an advantage of the heat pump utilization. In fact, the addition of a condenser causes the increase of water temperature and consequently enhances water evaporation. Further, the use of an evaporator near the glass cover enhances the increase of the amount of condensed water vapor. Table 3 shows the obtained experimental distilled mass flow rate for the four studied configurations. Hidouri et al. showed that on comparing 000 and 001 configurations, coupling solar still with heat pump is a very good way to increase basin water temperature (it reaches 82°C) as well as temperature difference between basin water and evaporator (it reaches 77°C for 001 configurations and it does not exceed 28 °C for 000 one) . This temperature difference ensures the continuity of the distillation process. Further, as water vapor temperature decreases, the experimental yield as well as the convective heat transfer coefficient increase. The use of double glass cover (i.e. 110 and 111 configurations), induces the increase of water temperature of the basin. This is due to the increase in solar intensity, in this case, water temperature reaches 86 °C. As in the case of the first two configurations, water vapor temperature considerably decreases when a heat pump is used. It was found that maximum value of water vapor temperature is equal to 53 °C and 31°C, whereas minimum value is equal to 43 °C and -10°C for 110 and 111, respectively. In order to produce a best possible comparison between experimental and theoretical results, Table 4 illustrates statistical analysis in terms of the square root of mean deviation and coefficient of linear correlation. Calculated values of the square root of mean deviation or the error (e) indicate the quantity of water produced. Thus, the higher value of (e) corresponds to the lower value of distillate output. For all the studied configurations, it was found that this result shows again that Lewis number correlation is the best theoretical correlation as compared to the two others. The coefficient of linear correlation (r) shows again that Lewis number correlation exhibits a good agreement with experimental results for both simple and hybrid stills. 1- The model with the Lewis number shows a good agreement between theoretical and experimental mass of distilled water obtained for both simple and hybrid solar stills. 2- Dunkle model predicts better results in simple solar still (in 000 configuration: eDunkle= 22%, rDunkle= 0.88) than those obtained in hybrid solar still (in 111 configuration: eDunkle = 54.1%, rDunkle= 0.47). 3- Taking into consideration geometric parameters of the solar still is very important for the system modeling. 4- Experimental yields obtained by using the hybrid solar still are higher than those obtained with the simple solar still. 1. Hidouri K, Benhmidene A, Chouachi B. Comparative Study of Experimental and Theoretical Convective, Evaporative for Two Model Distiller. 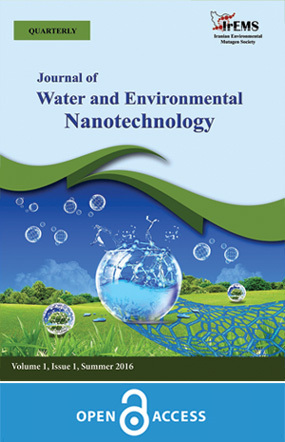 World Academy of Science, Engineering and Technology, International Journal of Chemical, Molecular, Nuclear, Materials and Metallurgical Engineering. 2017;11(4):329-32. 2. Hidouri K, Gabsi S. Correlation for Lewis number for evaluation of mass flow rate for simple/hybrid solar still. Desalination and Water Treatment. 2016;57(14):6209-16. 3. Dehwah AHA, Li S, Al-Mashharawi S, Winters H, Missimer TM. Changes in feedwater organic matter concentrations based on intake type and pretreatment processes at SWRO facilities, Red Sea, Saudi Arabia. Desalination. 2015;360:19-27. 4. El-Sebaii AA, Shalaby SM. Solar drying of agricultural products: A review. Renewable and Sustainable Energy Reviews. 2012;16(1):37-43. 5. Toyama S, Murase K. Solar stills made from waste materials. Desalination. 2004;169(1):61-7. 6. Jubran BA, Ahmed MI, Ismail AF, Abakar YA. Numerical modelling of a multi-stage solar still. Energy Conversion and Management. 2000;41(11):1107-21. 7. Malaeb L, Ayoub GM, Al-Hindi M. The Effect of Cover Geometry on the Productivity of a Modified Solar Still Desalination Unit. Energy Procedia. 2014;50:406-13. 8. Dunkle R. Solar water distillation: the roof type still and the multiple effect diffusor. 1961. 9. Kumar A, Tiwari G. Effect of mass on convective heat transfer coefficient during onion flakes drying. American Journal of Food Technology. 2006;1(1):1-18. 10. Tiwari GN, Tiwari AK. Solar distillation practice for water desalination systems. Tunbridge Wells, UK; New Delhi, India: Anshan ; Anamaya Publishers; 2008. 11. Hongfei Z, Xiaoyan Z, Jing Z, Yuyuan W. A group of improved heat and mass transfer correlations in solar stills. Energy Conversion and Management. 2002;43(18):2469-78. 12. Ebaid MSY, Ammari H. Modeling and analysis of unsteady-state thermal performance of a single-slope tilted solar still. Renewables: Wind, Water, and Solar. 2015;2(1):19. 13. Chilton TH, Colburn AP. Mass Transfer (Absorption) Coefficients Prediction from Data on Heat Transfer and Fluid Friction. Industrial & Engineering Chemistry. 1934;26(11):1183-7. 14. Babalola T, Boyo A, Kesinro R. Effect of Water Depth and Temperature on the Productivity of a Double Slope Solar Still'. Journal of Energy and Natural Resources. 2015;4(1):1-4. 15. Khaoula H, Ali B, Rhomdanne BS, Slimane G. Effects of SSD and SSDHP on convective heat transfer coefficient and yields. Desalination. 2009;249(3):1259-64. 16. Jain D, Tiwari GN. Thermal aspects of open sun drying of various crops. Energy. 2003;28(1):37-54.